Chanteur Country US né le 1er Décembre 1944 à Midland (Texas). Born 1 December 1944, Midland, Texas, USA. After graduating from high school in 1963, Chesnut attended University of Texas, Austin, and while there worked part-time at KVET AM as an engineer and disc jockey. 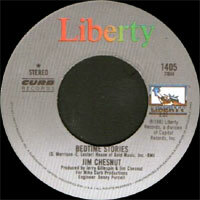 In 1968, while still a student, Chesnut recorded two songs written by Herman M. Nelson, ‘About To Be Woman’ and ‘Leaves’, with a band led by Bill Josey Snr. In the 70s, he worked as a single and also in duo with Rodney Crowell, which became a trio when Chesnut’s first wife, Linda, was added as drummer. 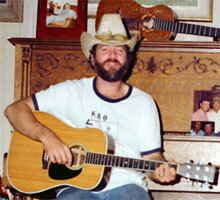 Moving to Nashville, Tennessee, he became a staff writer for publisher Acuff-Rose Music, whose co-owner, Roy Acuff, encouraged him to make two albums in the late 70s. Mostly, he sang his own compositions, among which were Grammy Award-nominee ‘Show Me A Sign’ and ‘Get Back To Loving Me’. His song, ‘Oklahoma Morning’, was recorded by Charley Pride. At the start of the 80s, beset by problems marital and through alcohol, Chesnut made half a dozen sides for United Artists Records and Liberty Records, but then retired from music and also quit drinking. In later years, Chesnut worked in marketing, specializing in communications but intending to stay clear of the music business. In the previous few years, however, he had appeared at San Antonio’s annual KKYX River Festival. For the 1982 show, he stepped in to fill a scheduling gap and ended up with job in sales at KKYX; he also met Christine Walden who later that year became his wife. Early in 2007, Chesnut learned that one of his recordings, ‘Get Back To Loving Me’, was being used on the soundtrack of the film Come Early Morning (2007), starring Ashley Judd, a daughter of Naomi Judd. 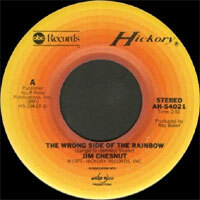 This news prompted Chesnut to have his early recordings digitally remastered for re-release by Sony/ATV Music. By this time, Chesnut had cautiously tested the waters and had begun performing again. Mostly, he stayed close to home, taking engagements at venues in his home state.